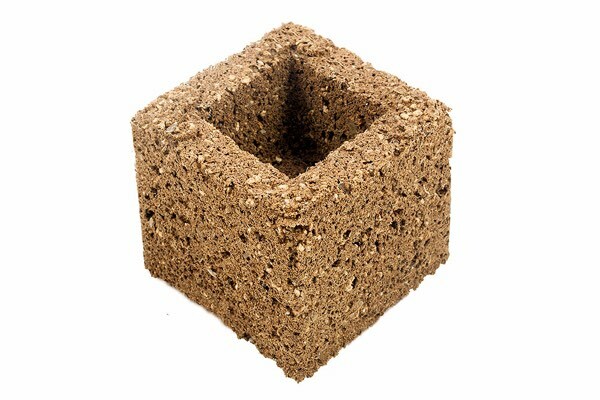 The Eazy Block is the next evolution in sustainable growing media. Enhancing all of the superb characteristics of the Eazy Plug. From its predetermined and buffered pH and EC values, to its self regulating air-to-water ratio. It is extremely versatile and will perform in any application and in all available cultivating system. And the wonderful thing is, it is very easy to use. Eazy Block is very well bonded, so it needs no plastic wrapping. Without the plastic covering the roots stop growing when reaching the outside of the block. At this point air pruning takes place. This means that the primary roots stop growing beyond the Eazy Block because they get exposed to the relatively dry air and dieback. That will stimulate an abundant growth of secondary roots and root hair, that wil spread throughout the entire Eazy Block. The effect will generate a very well developed root system with a maximized absorption capability for the best possible intake of nutrients and fluids. There is no doubt that in this fully natural environment your plant will have the strongest and healthiest start possible.